It was almost dark Monday evening when Susan Butterfield Brooks and I ventured out into the cold wind that was descending fast. She had a pair of clippers. We crossed the street and headed down the driveway to the back yard of Susan's neighbor, 98-year-old Jimmy Henderson. We were on a mission to pick as many camellia blossoms as we could before the temperature plummeted that night. By the next morning, all the open flowers would be ruined by the predicted 22-degrees. Susan had permission from Jimmy to pick bouquets anytime. The camellias were really trees, limbed up from the bottom and reaching a height of at least 15 feet. We had to reach up and pull down branches. Susan would hold, while I clipped. She let me know right off that she liked longer stems, so I quickly changed my modus operandi. I'm glad she directed me. First, we picked Camellia japonica 'Professor Charles S. Sargent'. The red camellia is easy to recognize, with its tufted middle. Next, we hit a tree loaded with red and white variegated blooms. The flowers were larger than 'Professor Sargent', also with a tufted middle, only much looser. The variegation I would describe as red splotched with white. It was getting colder and darker when we reached the tree with the white flowers. I first thought 'White Empress', but soon realized the blooms weren't large enough. The idea was the same, though, with semi-double petals and yellow stamens that stood out in the middle. When I got my bounty home and made some bouquets, I was most intrigued by the white flower. It was so exquisite and so delicate that it appeared to be artificial. The flowers were, in fact, see-through. I could put my finger behind a petal, and you could see the outline. All of these camellias are special because they were planted by someone I greatly admired. Jimmy's wife was the late Edith Henderson, a much-admired and well-known landscape architect who designed many gardens in Atlanta and around the Southeast. 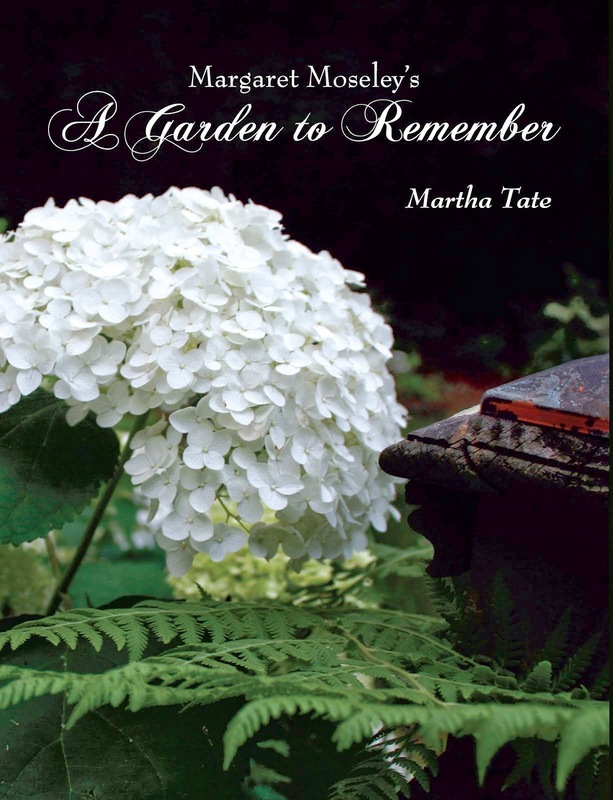 In the years when I was becoming obsessed with flowers and gardens, she wrote a column for the Atlanta Journal and Constitution. I hung every word. When they changed columnists, I was bereft. I was glad when her book, Edith Henderson's Home Landscape Companion, came out in 1993. By then, I was a garden columnist for the paper, but I still missed her weekly descriptions of plants and ideas for landscaping. I have some detectives on the case. I first called 95-year-old Margaret Moseley who studied pictures in her camellia book. She called me back to suggest 'Silver Waves'. I looked it up online, but the petals on this camellia are more oval. There's an ever-so-delicate "spoon" edge, meaning that the rim of the petal is curved in. Then, I caught North Georgia Camellia Society guru John Newsome as he was walking in the door. He immediately said 'Silver Waves', as well. There's definitely a resemblance, but it's those rounded-oval petals that are different. John now has a computer, so I've sent him a picture. I'll be interested to see if it can be identified. He said there are many old varieties around that remain a mystery. This may be one of them. Is it possible that Edith's garden might have a seedling Camellia? I have several. Such a beautiful flower!! I so much enjoy your daily posts. NellJean - definitely a possibility. John Newsome has dial up Internet, so he couldn't see the flower. This is a great seedling if indeed it is one. I might try to air layer it, and see if I can get it to grow. Or, Maybe John would graft it for me. It would take a long time for it to get any size either way. Carolyn - thank you so much for your comments. I love doing it, although I should devote more time to cleaning my house! What a great camellia and a great story. Thanks!